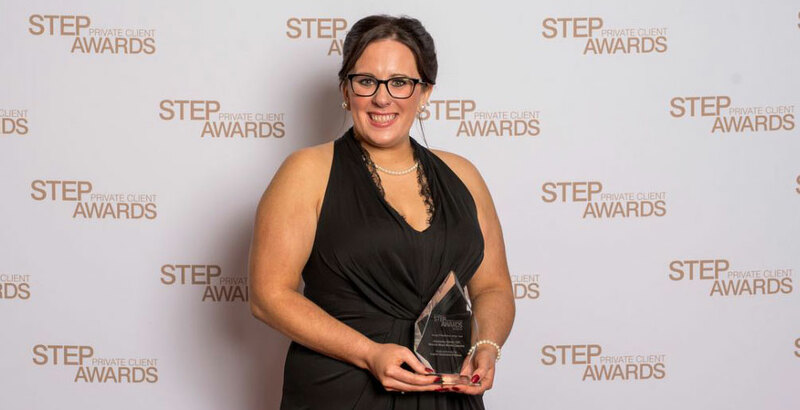 It is with great pleasure that we announce that Kimberley Martin, one of the Directors of Worrall Moss Martin Lawyers, has been awarded Young Practitioner of the Year at the STEP (worldwide) Private Client Awards held in London on 7 November 2018. The Society of Trust and Estate Practitioners (STEP) is a global professional association for practitioners specialising in family inheritance and succession planning. The STEP Private Client Awards highlight excellence among both STEP members and non-STEP members. Kimberley was shortlisted as one of six finalists in the Young Practitioner of the Year category, with the other six high calibre finalists being practitioners from the UK and US. All categories are open internationally and assessed by an independent panel of expert judges. The judges are supported by a Panel of Experts who are internationally renowned solicitors, lawyers, accountants, financial advisors, barristers and trust companies. The Directors and staff of Worrall Moss Martin Lawyers congratulate Kimberley on this extraordinary achievement. Whilst it is remarkable for a Hobart lawyer to have been recognised on the international stage in this way, the award is most definitely well-deserved and is due recognition for Kimberley’s hard work, drive and passion and commitment to the profession. For further details about Kimberley’s background, or to contact her, click here.